A calyceal diverticulum is an anomalous intrarenal cavity lined by nonsecretory transitional cell epithelium that communicates with the normal collecting system via a narrow diverticular neck. Although not directly associated with a draining renal papilla, calyceal divertic-ula fill passively with urine from the adjacent collecting system. Calyceal diverticula are usually less than 10 mm in size, and found incidentally during evaluation for other conditions. Incidence, from 2.1 to 4.5 per 1000 intravenous pyelograms, is similar in adults and children, which suggests an embryologic origin (1). 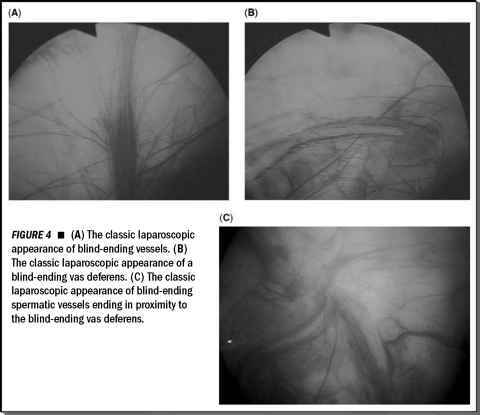 It has been proposed that failure of degeneration of third- and fourth-order divisions of the developing ureteral bud results in a blind-ending outpouching of the collecting system. Others have implicated childhood vesicoureteral reflux, intrarenal rupture of a cyst or abscess, and fibrosing infundibular stenosis (2,3). ■ ■ Type I: diverticula communicate with minor calyces in the upper and lower polar regions ■ Type II: diverticula communicate with the renal pelvis or major calyces and are located in the interpolar region. Currently, this classification remains purely descriptive and bears no implication regarding patient selection for urologic intervention. It is important to differentiate a calyceal diverticulum from a hydrocalyx, which is a true calyx with its own renal papilla that has become severely dilated due to congenital or acquired infundibular obstruction (4). The appearance of the calyceal distribution and configuration on intravenous pyelograms may be helpful in this regard.